Every year, World Youth Alliance Croatia organizes and conducts the World Youth Alliance Week (WYA Week). 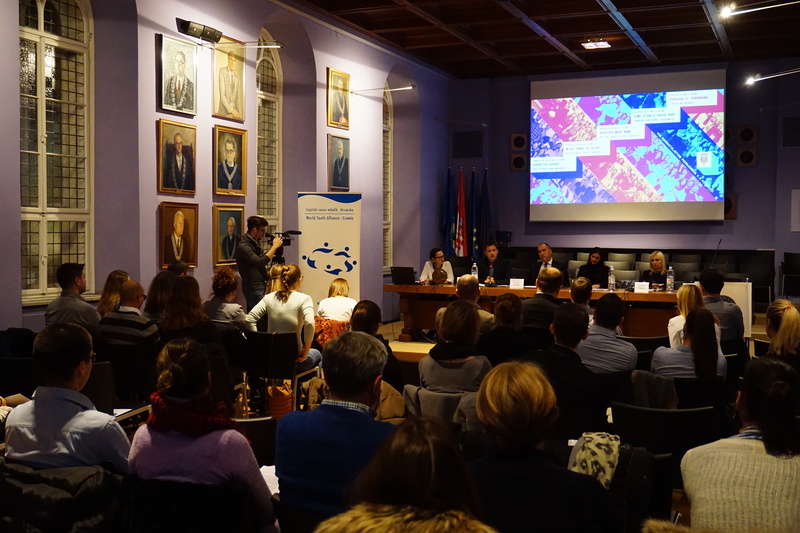 The week is designed in order to bring young people together in a dialogue with decision makers, academics, and other influential people from the Croatian society. On November 20-24, 2017, WYA Croatia organized the 5th WYA Week in Zagreb named ”We are staying in Croatia’’, under the patronage of the president of the Republic of Croatia – Kolinda Grabar Kitarovic. The main topics that were discussed were Croatian youth policies, Croatian culture, and business undertakings. 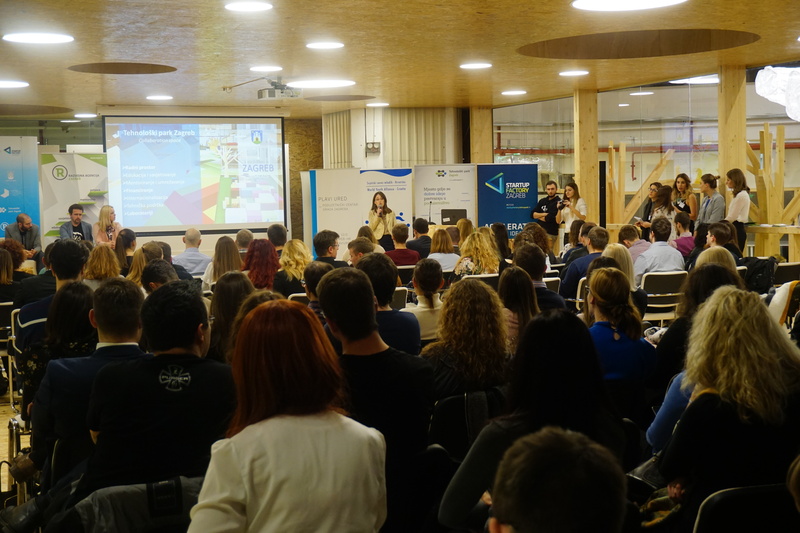 The first day of the conference was opened by the successful youth – doctors of science, entrepreneurs, enthusiasts and students that were gathered in an event called Suprotiva Talk. The event was designed in the same form as those of TED Talk motivational speeches. The speeches were about the advantages and reasons of why to stay in Croatia. One of the speakers – Dr. sc. Anita Ruso, an art historian with a PhD from the Sorbonne University (Paris), explained why she had decided to replace Paris with Zagreb, the capital city of Croatia. 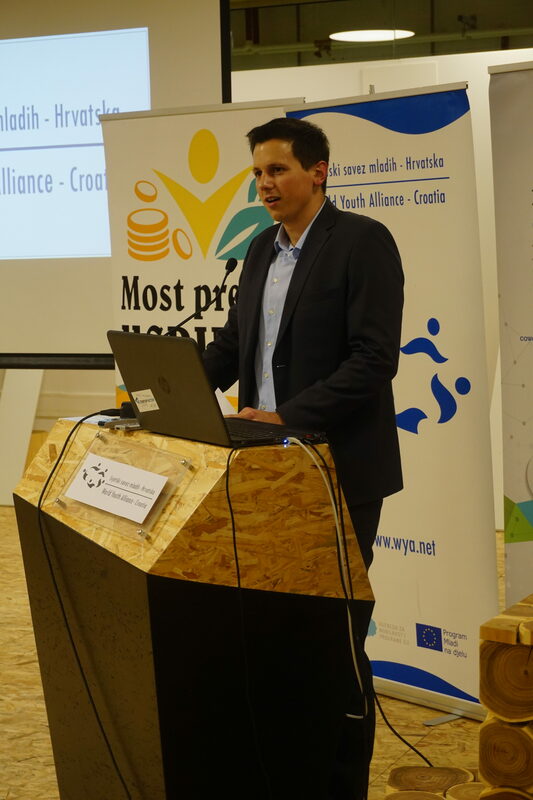 Another speaker, Nediljko Markovic, the president of the Students’Union of the University of Zagreb, explained that his whole life would not be enough to observe all of the beauty of Croatia and that this idea doesn’t stop him to fight and built a better life in Croatia. Young people are the future of Croatia, what will they be when they leave? – asked Dr.sc. Tomislav Buric, a young professor on the Faculty of Electrical Engineering and Computing, with PhD from a University in Australia. He reminded us that ‘’young people are responsible for the future. If they want to be better off in the future, they must create this future’’. 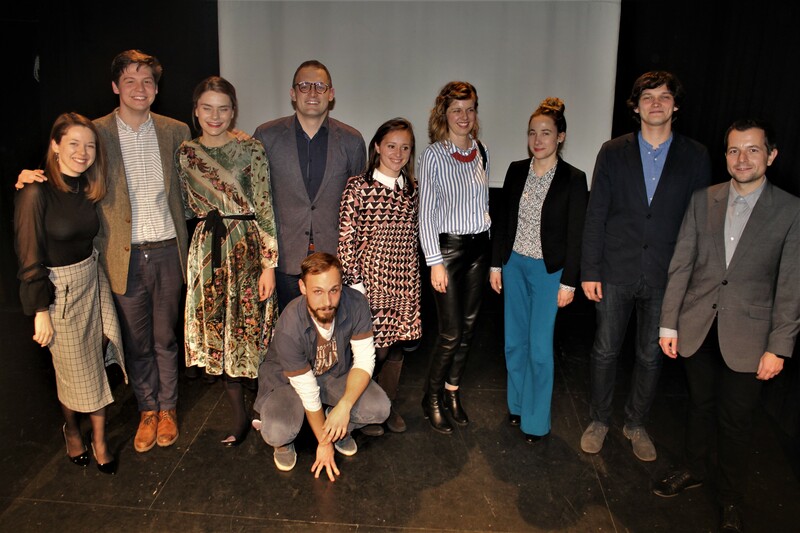 “The mentality of passive lifestyle and whining needs to be replaced by active participation in the area of our own work, the society in which we live and in which we have the responsibility”, said Ante Lucic, young CEO of a company A-link. The round table “Youth of Today for Tomorrow” was held on Tuesday, November 21st, and attended by the State Secretary of the Ministry of Demography, Family, Youth and Social Policy – Mr. Marin Strmota, State Secretary of the Ministry of Health – Mr. Tomislav Dulibic, Parliamentary Representative and Young entrepreneur Mrs. Ivana Nincevic – Lesandric, and the journalist of the Croatian National Television Marija Suncica Findak. Prior to the start of the Round Table, members of World Youth Alliance presented the results of the research on the needs of young people in Croatia which was carried out within the WYA project Suprotiva – the project gathered young people from four big cities in Croatia and educated them on ways how a young person can be an active citizen in their community. After that, WYA members proposed policy measures in fields of education, culture and business (employment) for the new Croatian National Youth Program. Marin Strmota, State Secretary at the Ministry of Demography, Family, Youth and Social Policy, stressed out that the solution is not in the measures that the ministries bring, but in returning a positive, fighting spirit to the youth. The sum of the population, demographic and economic policies is what makes the solution, he said. “The media advertises that the people should leave, creating negative image in Croatian society. 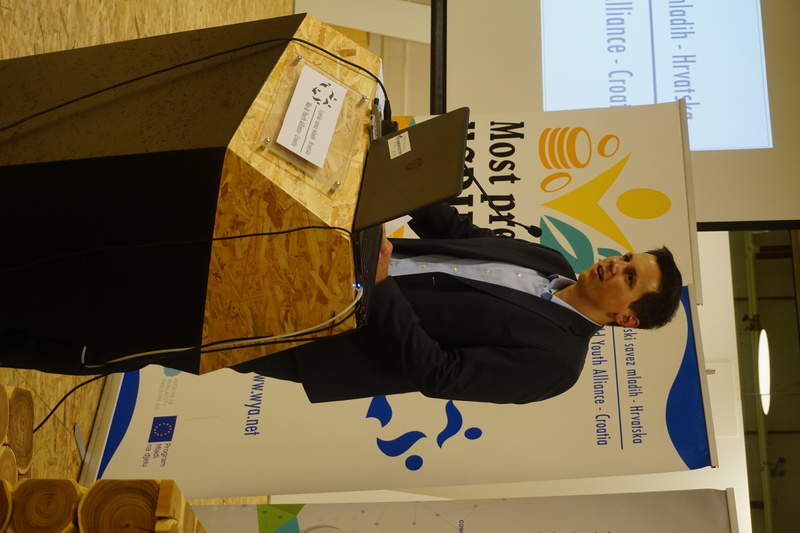 We need an objective image of the lives of young Croatian immigrants”, said Tomislav Dulibić, State Secretary at the Ministry of Health. Ivana Ninčević-Lesandrić has repeatedly emphasized the importance of entrepreneurship. “It’s important to be free from the fear of failure and not to wait for others to create working conditions, but we have to create them ourselves, because the youth are capable of doing business themselves,” she said. 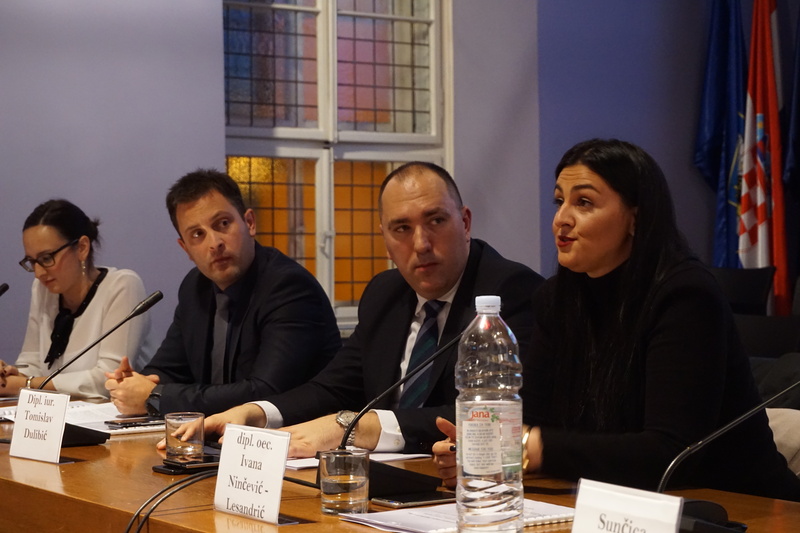 Suncica Findak, a journalist for Croatian National Television, warned that the voice of young people is not heard far enough, because they are not engaged enough in their society and the politics is not interesting enough or at all to them. Sunčica encouraged our WYA members that she will make program about WYA Croatia’s work. The event titled “Croatia Among Us” was part of a third day of the conference and was attended by Rene Medvesek, actor, director, and professor at the Academy of Dramatic Arts, Maja Hrgovic, the literary artist and initiator of The Arteist, web portal about culture and Nikola Albanese, art historian, curator and museologist. They talked about what culture is for us today, how culture needs to survive the national identity / nation. 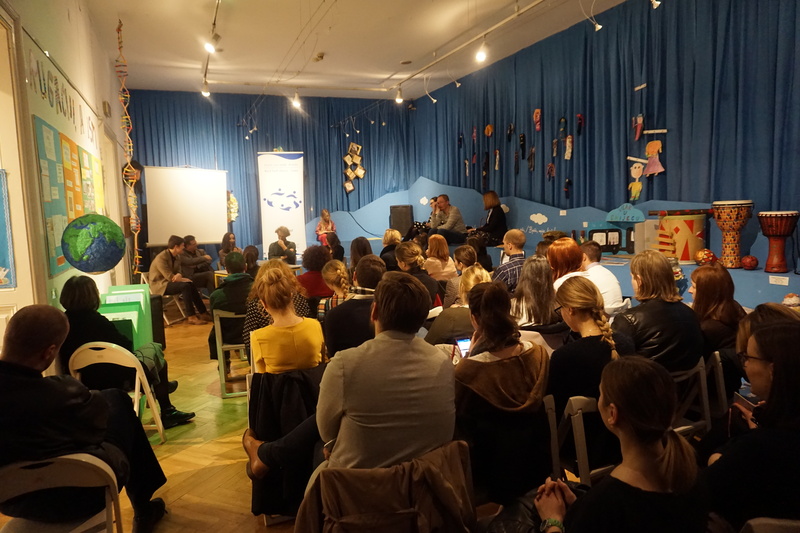 The above mentioned forum allowed young people to talk with successful artists, cultural entrepreneurs, and cultural workers, and to consider not only short-term solutions but also the overall cultural vision of Croatia. All these discussions, round tables, forums and talks needed the practical side of the story so the last day of conference was in a form of a so called ”business date” named Make a stand! WYA Croatia proposed entrepreneurship as a solution to unemployment – through four areas of entrepreneurship: family agriculture business, IT, successful women in entrepreneurship and hobby as a job. For each mentioned business area WYA Croatia invited young experts to represent those areas and say something about them. So young people had the opportunity to be informed how to make their first business steps and turn good ideas into successful business stories. 200 young people who came to learn about the possibilities of self-employment and their opportunity to stay in Croatia were able to choose a group of one of the four above mentioned business areas that were led by the mentioned entrepreneurs, depending on the subject matter of their interest, to learn more about the world of entrepreneurship through an interactive conversation with young entrepreneurs who described their first steps and experience, the fears they’ve met, and shared their stories with concrete advice on how to succeed and survive in the world of entrepreneurship. At the end of the conference, Mrs. Renata Margaretić Urlic, Counselor of the President of the Republic of Croatia for Social Issues and Youth said that the President is giving a strong encouragement in efforts of young people to work for a better society and in creation of better conditions for life of young people in their country. ”Tomorrow is yours already”, was the message that young people passed on to their peers and the message that ended the conference. On the 24th of November WYA Croatia decided to celebrate its 5th anniversary! It was time for all the WYA members to relax and to remind each other about the efforts we made through all these 5 years of work. Simun Loncarevic, WYA Croatia president, and Kristina Samardzic, WYA Croatia vice president presented all the successful projects that WYA Croatia has had, reminding us that we are all here firstly because of the people, and then for the projects. After 5 years of fighting for human dignity and excellence, we can’t wait for more WYA years of dignity and excellence to come. Svake godine Svjetski savez mladih Hrvatska (SSMH) organizira događaj naziva Tjedan Svjetskog saveza mladih Hrvatska (Tjedan SSMH). Tjedan SSMH je osmišljen s namjerom da poveže mlade ljude u dijalog s donositeljima odluka, akademicima i drugim utjecajnim osobama iz hrvatskog društva. Od 20-24. studenog SSMH je organizirao Peti Tjedan po redu naziva ”Mi ostajemo u Hrvatskoj’‘, pod pokroviteljstvom predsjednice RH Kolinde Grabar Kitarović. Glavne teme o kojima se govorile su bile Nacionalni program za mlade, kultura i poduzetništvo. Prvi dan konferencije 20.11. otvorili su uspješni doktori znanosti, poduzetnici, entuzijasti i studenti događajem Suprotiva Govori, koji je osmišljen po uzoru na poznati TedTalk. Motivacijski su govori tematski obuhvaćali razloge i prednosti zašto ostati u Hrvatskoj. Tako nam je, primjerice, dr.sc. Anita Ruso, povjesničarka umjetnosti s doktoratom pariške Sorbonne, objasnila zašto je ipak parišku svakodnevicu odlučila zamijeniti Zagrebom, a Nediljko Marković, predsjednik Studentskog zbora Sveučilišta u Zagrebu, objasnio da mu sto života ne bi bilo dovoljno da se nagleda ljepota Hrvatske i da mu to ne dopušta da se prestane boriti za nju i izgrađivati je na bolje. ”Mladi su budućnost Hrvatske, što će biti kada odu? !– upito je okupljene dr.sc.Tomislav Burić, mladi profesor na Fakultetu elektrotehnike i računarstva koji je doktorirao u Australiji i vratio se u Hrvatsku podsjetivši prisutne da mladi imaju odgovornost prema budućnosti. ”Ukoliko žele da im bude bolje na njima je da to bolje stvore.”, rekao je Burić. Mentalitet sjedilačkog životarenja i kukanja potrebno je zamijeniti aktivnim sudjelovanjem u području vlastitog rada, društva u kojem živimo i prema kojemu imamo odgovornost, rekao je Ante Lučić, mladi direktor tvrtke A-link. Teme motivacijskih govora, po uzoru na popularni TedTalk, bile su: vlastiti uspjeh, osobni i profesionalni razvoj u inozemstvu i Hrvatskoj, razlozi zbog kojeg su odlučili ostati u Hrvatskoj ili vratiti se u nju, umjesto da život grade izvan domovine s ciljem da potakne mlade na izvrsnost, poduzetnost i ostanak u Hrvatskoj. Drugog dana konferencije, u utorak 21.11., održan je okrugli stol “Mladi danas za sutra”, a na njemu su sudjelovali: državni tajnik Ministarstva za demografiju, obitelj, mlade i socijalnu politiku gospodin Marin Strmota, državni tajnik Ministarstva zdravstva gospodin Tomislav Dulibić, saborska zastupnica i mlada poduzetnica gospođa Ivana Ninčević – Lesandrić i novinarka Hrvatske Radiotelevizije gospođa Sunčica Findak. Prije početka okruglog stola mladi iz Svjetskog saveza mladih predstavili su rezultate istraživanja o potrebama mladih koja su proveli u sklopu projekta Suprotiva i prijedložili mjere iz područja obazovanja, političke participacije, kulture i zapošljavanja za novi Nacionalni program za mlade. Marin Strmota, državni tajnik u Ministarstvu demografije, obitelji, mladih i socijalne politike, naglasio je da nije rješenje u mjerama koje Ministarstva donose, već u vraćanju pozitivnog, borbenog duha mladima. Zbroj populacijske, demografske i gospodarske politike je ono što donosi rješenje. “Medijska slika reklamira odlazak, potrebna nam je objektivna slika života mladih iseljenika”, istaknuo je Tomislav Dulibić, državni tajnik u Ministarstvu zdravstva. Ivana Ninčević-Lesandrić mnogo je puta naglašavala važnost poduzetništva. “Važno je biti oslobođen straha od neuspjeha i ne čekati da nam drugi stvore radne uvjete, nego ih moramo i sami stvarati, jer mladi su sposobni sami si stvoriti posao”, rekla je. Sunčica Findak, novinarka Hrvatske radiotelevizije, upozorila je kako se glas mladih ne čuje daleko, ne angažiraju se dovoljno u društvu, politika ih ne zanima. Ohrabrila je organizatore najavivši da će napraviti emisiju o njihovom djelovanju. Tribina pod nazivom “Hrvatska među nama” bila je dio trećeg dana konferencije, a na njoj su sudjelovali Rene Medvešek, glumac, redatelj i profesor na Akademiji dramskih umjetnosti, Maja Hrgović, književnica i pokretačica portala Arteist i Nikola Albaneže, povjesničar umjetnosti, kustos i muzeolog. Na tribini se pričalo o tome što je kultura za nas danas, kako nam kultura treba za opstanak nacionalnog identiteta/naroda. Tribina je mladima omogućila da razgovaraju s uspješnim umjetnicima, kulturnim poduzetnicima i kulturnim djelatnicima te da zajedno razmotre ne samo kratkoročna rješenja nego i cjelovitu kulturnu viziju Hrvatske. Govori i rasprave tražili su praksu i zato je zadnjeg dana konferencije ,u Tehnološkom parku Zagreb, održan business date: “Uzmi stvar u svoje ruke!“ SSMH predložio je poduzetništvo kao rješenje nezaposlenosti, i to kroz četiri područja poduzetništva: OPG, IT, uspješne žene u poduzetništvu i hobi kao posao. 200 mladih ljudi koji su se došli informirati o mogućnostima samozapošljavanja i stvaranja svoje prilike za ostanak u Hrvatskoj, mogli su izabrati grupu vođenu od strane spomenutih poduzetnika, ovisno o predmetu svog interesa, te tamo pobliže upoznati svijet poduzetništva kroz interaktivan razgovor s mladim poduzetnicima koji su im opisali svoje prve korake, strahove s kojima su se susretali, ali i podijelili s njima konkretne savjete kako uspjeti i opstati u svijetu poduzetništva. Na kraju konferencije, nazočnima se obratila gđa. Renata Margaretić Urlić, savjetnica Predsjednice Republike Hrvatske gđe. Kolinde Grabar Kitarović za društvena pitanja i mlade, te im prenijela ohrabrenje Predsjednice Republike u njihovim nastojanjima da rade na boljem društvu i uvjetima za ostanak mladih u zemlji. Sutra je vaše sada, bila je poruka koju su mladi članovi SSMH prenijeli svojim vršnjacima i rečenica kojom je obilježen završetak konferencije. 24. studenog SSMH je odlučio obilježiti 5 godina postojanja i djelovanja. Došlo je vrijeme da se članovi SSMH odmore od konferencije i da se međusobno podsjetimo na posao koji smo u ovih pet godina obavili. Šimun Lončarević i Kristina Samardžić, predsjednik i potpredsjednica SSMH su predstavili okupljenima uspješne projekte SSMH, podsječajući nas da su na prvom mjestu osobe – ljudi, a tek onda projekti. Nakon 5 godina borbe za ljudsko dostojanstvo i izvrsnost, jedva čekamo još mnogo SSMH godina u kojima ćemo ostaviti trag dostojanstva i izvrsnosti.